Gifts from the Pirates: A library is the delivery room for the birth of ideas, a place where history comes to life." A library is the delivery room for the birth of ideas, a place where history comes to life." This sunshine has been glorious! I am loving every minute of it. Hot, sunny weather will always mean that wheels will be hitting the pavement and that's just what we have been doing. Today started off with an early reading session from Opeie, I can't believe at 5 just how good his reading is. It just goes to show that one to one teaching and lots of patience really does have a huge impact. The heavy reading session brought to light the fact that we had exhausted all of our library books and needed a top up. With the sun blasting out we got our beloved Micro scooters out and hit the road in search of literature. 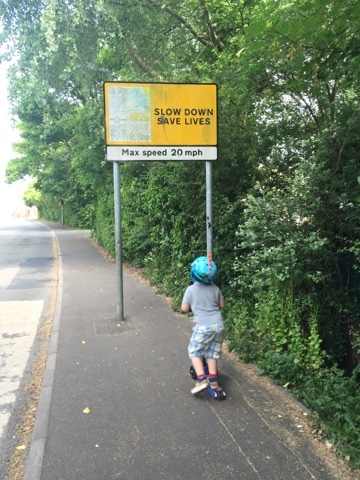 I honestly don't know what we would do now without our scooters, they have become a permanent fixture in our daily fun and without them outdoor adventures would seem a little watered down. They are an amazing addition to pretty much everything we do outdoors. 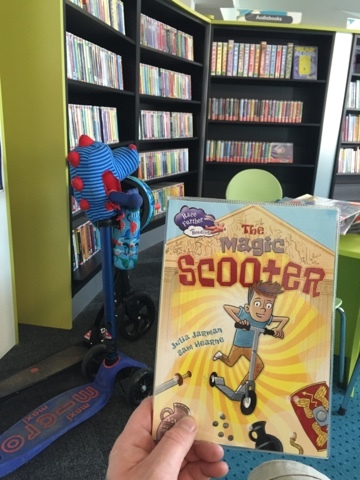 Mid-week afternoon library visits mean quiet reading for us as most chidren are at school, and because we know a few of the librarians in there now they don't mind if Opeie scoots over to the children's section. This is where we split up, Opeie makes a pile of books for me to read to him, while I hit the 'ready to read' section for fun books perfect for his reading level. I was excited to find 'the magic scooter' and have added that to Opeies pile for the coming weks. I think we both feel like our scooter is a magic scooter. After an hour of reading, it was back to the streets weaving in and out of all those people that don't have wheels. 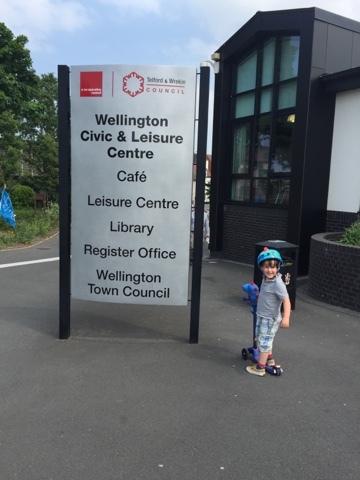 We did have to scoot around some mobility scooters, elderly shopping trollies and pushchairs though before heading out of the town and back home. Adding wheels to your family adventures really adds to the excitement and Micro Scooters are continuing to pave the way for our father/son bonding and the boys development. GO TEAM SCOOT! "she believed she could so she did"
"We built this city on rock and roll..."
"There has been an awakening. Have you felt it?"